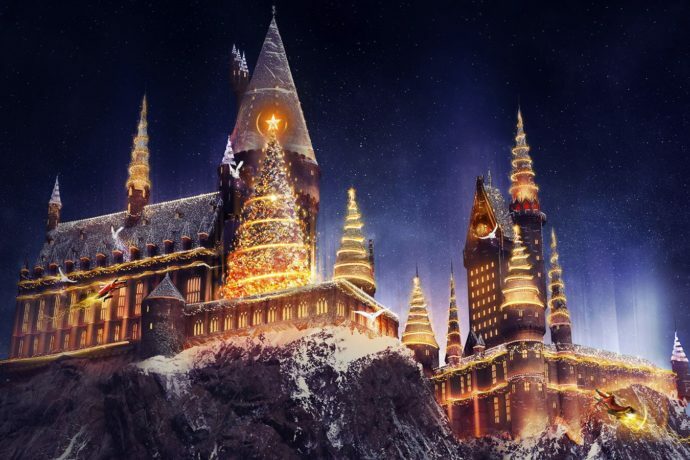 For the first time ever, The Wizarding World of Harry Potter at Universal Orlando will be completely transformed for the holidays, including a brand new nightly projection show at Hogwart’s Castle! Both Hogsmeade at Islands of Adventure and Diagon Alley in Universal Studios Florida will be fully decked out for the holidays, offering their own holiday food and drinks and special holiday themed entertainment. 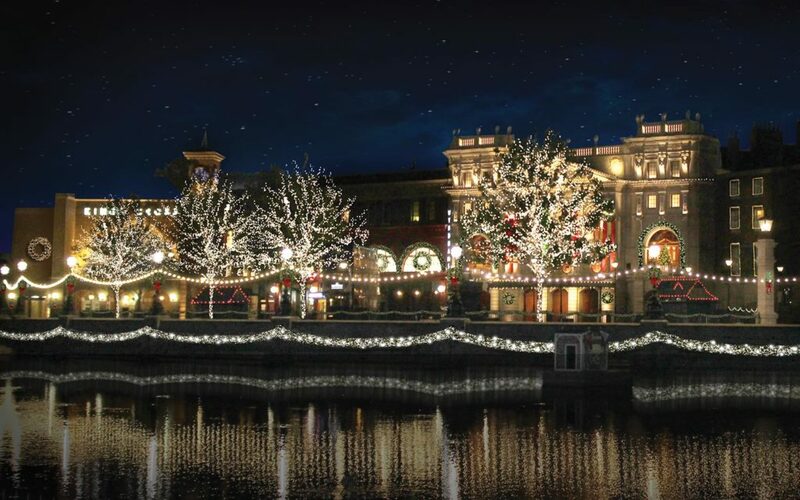 This will all be part of Universal Orlando’s resort-wide holiday celebration, which includes returning favorites like Grinchmas, Mannheim Steamroller, and the Macy’s Holiday Parade (which will see new additions this year.) Best of all, the holidays are starting even earlier this year, and lasting even longer. Holiday experiences will run daily from November 18, 2017 to January 6, 2018! See below for more details about the new holiday offerings! 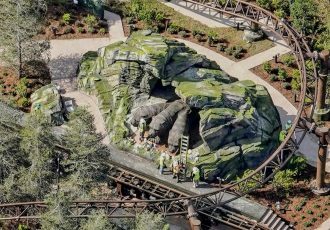 Guests will finally be able to step into the magically festive versions of Hogsmeade and Diagon Alley with garland and decor all around the shops and unique architecture. They will be able to taste new holiday food and drinks created specifically for this time of year. 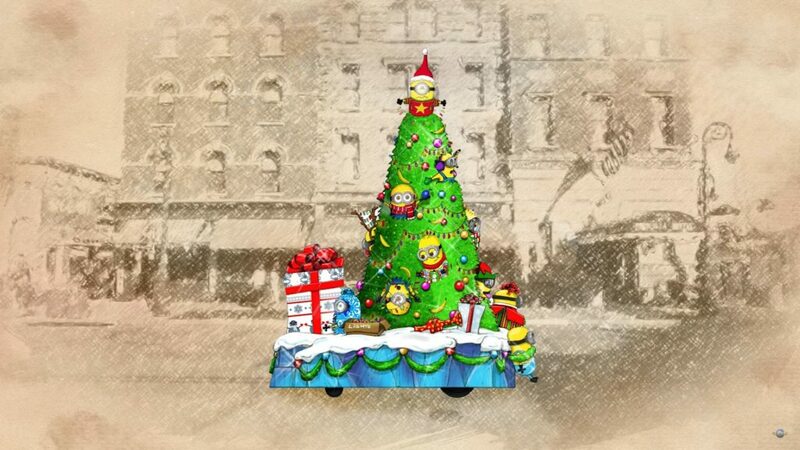 And there will be new entertainment for both lands, including Christmas carols sung by the frog choir and more. 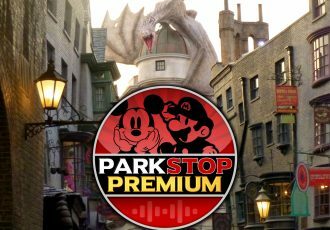 The Christmas celebration will be topped off nightly as Hogwarts Castle comes to life in a brand new show utilizing the latest in mapped projection technology. Magic will cast over the landmark, cascading it in decor, candlelight and festive moments inspired by the films. 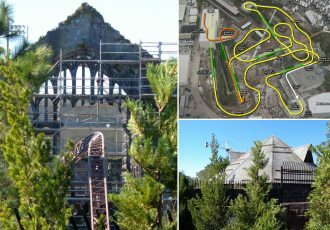 Hogwarts Castle will transform itself into a yuletide display, gifting fans with an amazing, new view. 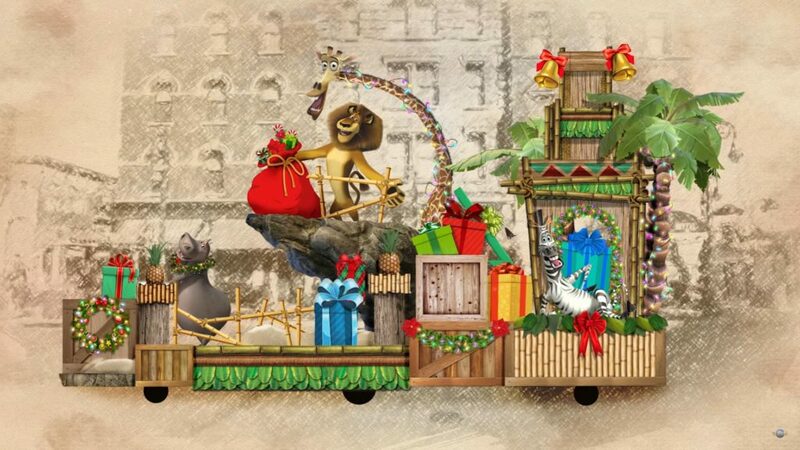 This year the wildly popular Macy’s Holiday Parade at Universal Studios Florida is getting some new floats featuring some of your favorite characters. New additions to the parade will include floats and balloons with the lovable Minions, the animals of Madagascar, and Shrek. Of course, many of the actual balloons and floats seen in the Macy’s Thanksgiving Day parade will be returning to Universal as well, making this the ultimate holiday event! 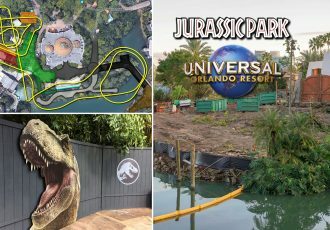 Even more announcements about the Holidays at Universal Orlando, and even some more Harry Potter news, are expected in the coming months! Stay tuned for complete coverage of these events and more. Subscribe to the news feed to keep up with all the new announcements. 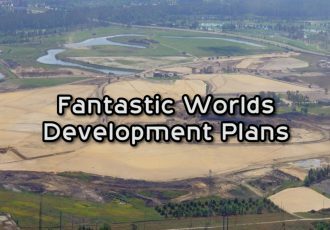 I think the new floats are going to focus on Universal owned properties like Minions from their own Illumination Studios and Madagascar from Dreamworks Animation, which they recently acquired.